On Thursday, April 18, Frost Science announced that it had been awarded LEED (Leadership in Energy and Environmental Design) Gold Certification for its outstanding practice in the design, construction and operation of a sustainable and energy-efficient facility. The LEED rating system, developed by the U.S. Green Building Council (USGBC), is the foremost program recognizing buildings, homes and communities that are designed, constructed, maintained and operated for improved environmental and human health performance. Sustainability is at the heart of Frost Science’s mission. 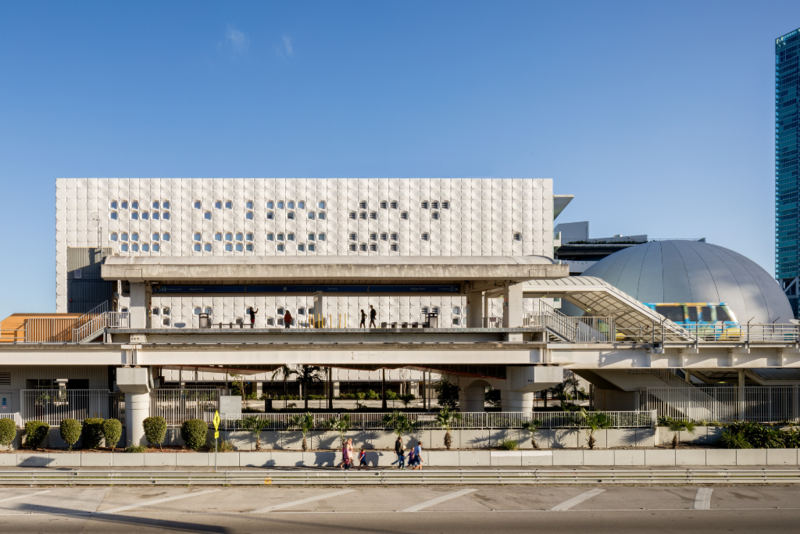 Sitting on four acres within Downtown Miami’s waterfront Maurice A. Ferré Park, the 250,000-square-foot institution is divided into four distinct buildings: the Aquarium, the Frost Planetarium, and the North and West Wings. The building and grounds are designed to express the best practices in green building design, construction and operation, as well as utilize the latest green technologies. The museum also offers a self-guided “Behind the Build” tour around the campus, where guests can learn more about the design concept of the building, the institution’s environmentally friendly best practices, and behind-the-scenes information about its construction and operation. From the outset, green construction and building materials were selected, including rapidly renewable materials for exhibits, regional material usage, selection of building materials with high levels of recycled content, and low-chemical-emitting building materials and paints. Additionally, the building implemented recycling of construction waste and integrated “blast furnace slag,” a byproduct of iron and steel production, as concrete technology in the building. Through a rigorous points-based system, LEED evaluates projects on siting, sustainability, water efficiency, use of reusable energy sources, and recycled materials, as well as indoor environmental quality and design innovations, among other factors. Frost Science achieved the Gold LEED certification for implementing practical and measurable strategies and solutions aimed at achieving high performance in: sustainable site development, water savings, energy efficiency, materials selection, and indoor environmental quality. The certification identifies Frost Science as a leader in creating healthy experiences and conserving precious resources. One of Frost Science’s most impressive elements is the water system created for the unique building. Rainwater is collected for use as HVAC makeup water and to irrigate the rooftop gardens (estimated 350,000 gallons per year in city water savings), and a gray water collection system is utilized for flushing toilets and urinals (estimated 250,000 gallons per year in city water savings). 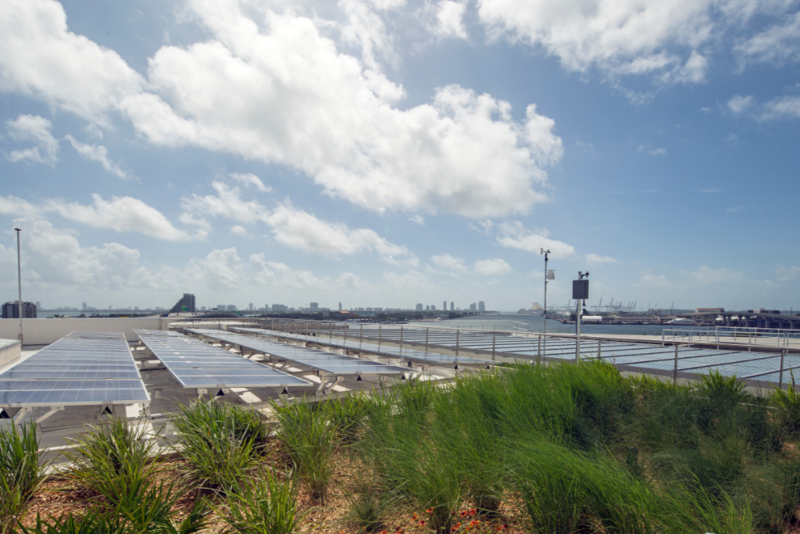 The Florida Power & Light Company Solar Terrace on the museum’s sixth-floor rooftop houses a solar farm of photovoltaic solar panels, providing about 66 kW of photovoltaics (218 panels total) calculated to power about two percent of the buildings’ full load. Additionally, the solar trees on the Science Plaza provide approximately 6kW of photovoltaics. 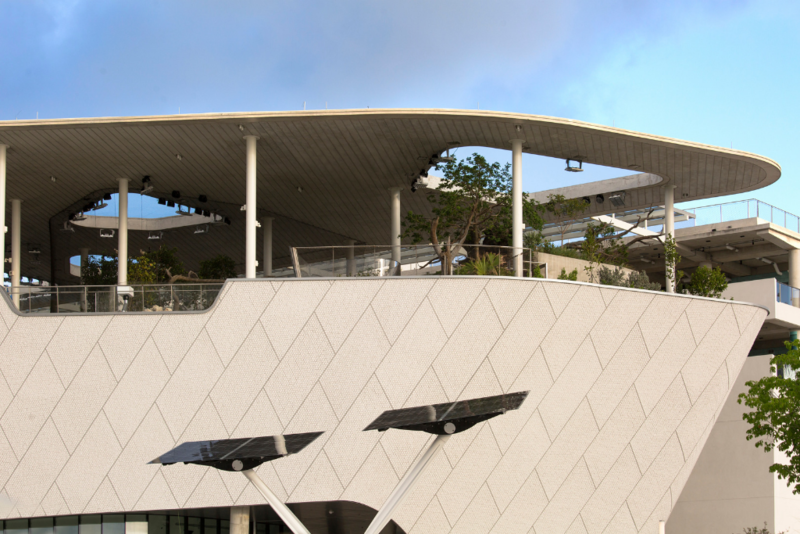 Public transportation options via bus and an onsite Metromover station are adjacent to the museum. Under-building parking is available to prevent heat islands typically caused by parking lots exposed to direct sunlight, along with ample electric vehicle charging stations. To learn more about the museum’s building, click here. The post Frost Science Awarded LEED Green Building Certification appeared first on Frost Science. 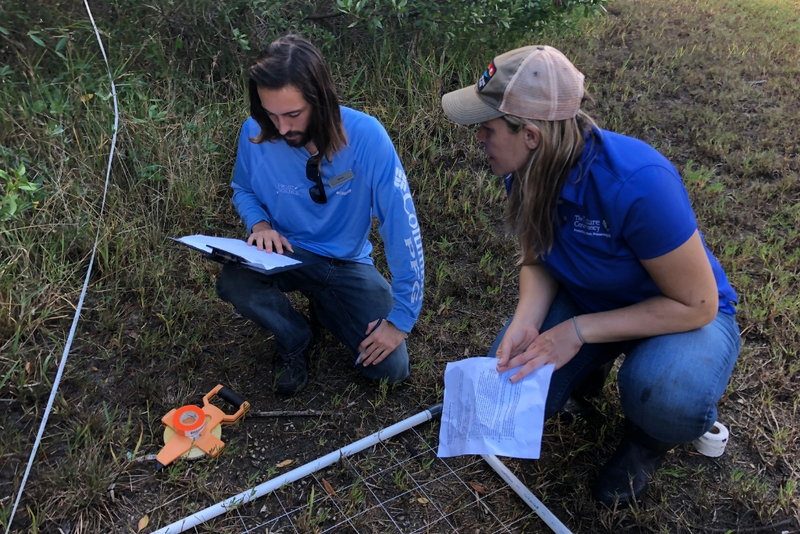 The post MUVE Begins Habitat Resilience Efforts at East Greynolds Park appeared first on Frost Science. The post Top 5 Things You Didn’t Know About Sharks appeared first on Frost Science. 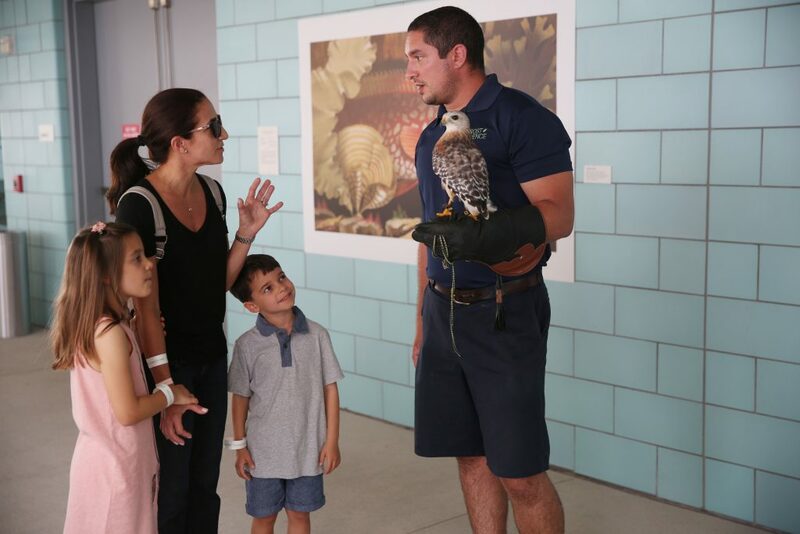 Today, Wednesday, June 20, 2018, the Phillip and Patricia Frost Museum of Science in Downtown Miami’s Museum Park welcomed its one millionth visitor since opening on May 8, 2017. Over the past year, Frost Science has continuously transformed the visitor experience including new exhibitions, special events and programming, along with new educational offerings such as enhanced field trips, camps, overnights and more. To mark the occasion, the one-millionth visitor, Gisel De Renzo, along with her family, was surprised with a 7-night Caribbean cruise courtesy of Royal Caribbean International. 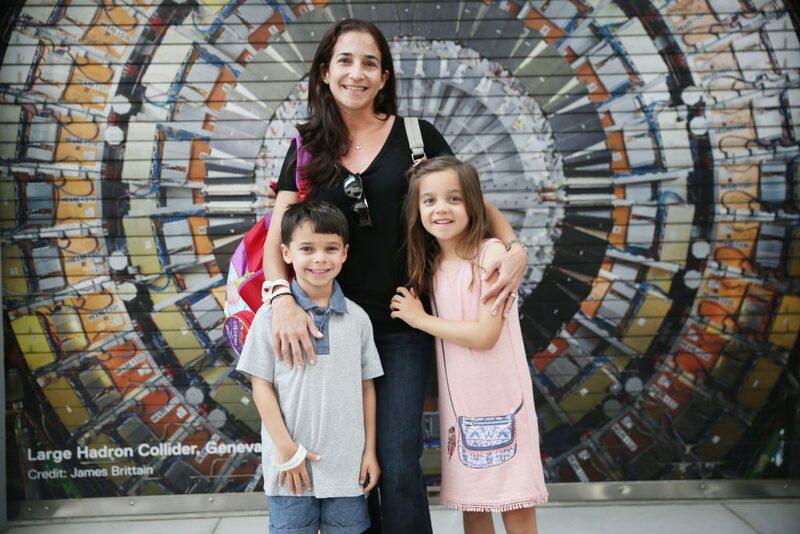 Gisel De Renzo also won a Frost Science gift bag with branded items, a $100 gift card to Frost Science and “1 million minutes of science” (a two-year Family PLUS level membership). Gisel De Renzo then went on to enjoy a special museum experience including an animal encounter. Within the hour of the one millionth visitor, all museum guests enjoyed complimentary snacks by local donut shop, Happy Place Donuts, and a special Frost Science giveaway. Frost Science has welcomed several groundbreaking special exhibitions to its campus since opening, including The Power of Poison: From the Depths of the Sea to Your Own Backyard, SPACE: An Out-of-Gravity Experience, BRAIN: The Inside Story, Monster Fish: In Search of the Last River Giants, SEEING: What Are You Looking At? and The Mechanicals. The museum has continued to grow with supporting grants and generous donations from foundations and corporate partners. Frost Science also had a record-breaking day during the total solar eclipse in August, welcoming over 8,500 guests to experience this once-in-a-lifetime event. Throughout the year, Frost Science has hosted distinguished guests and notable speakers including Cara Santa Maria, Nick Uhas, Dr. Wallace J. Nichols and more. 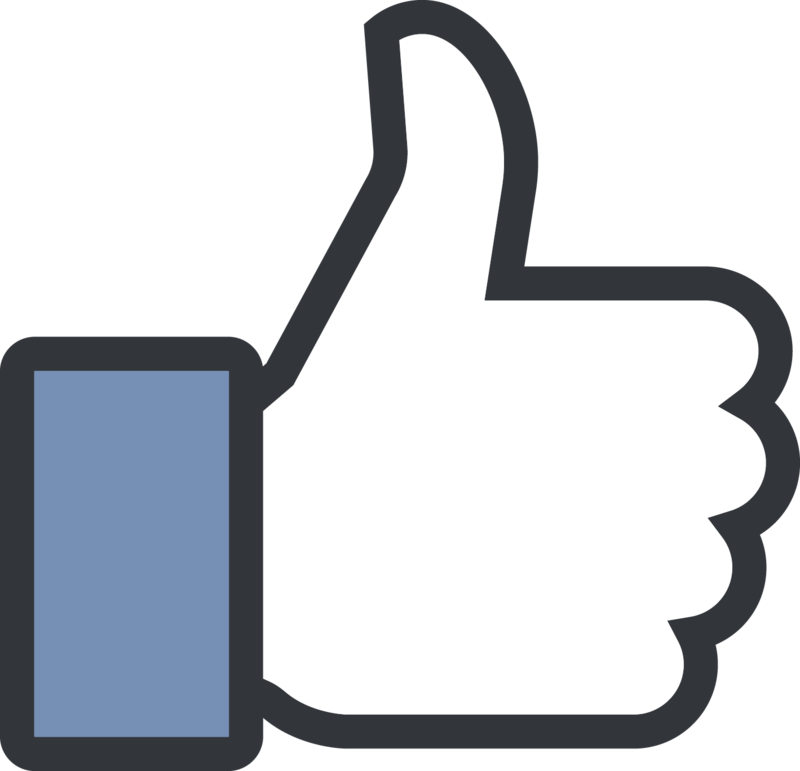 The post 1,000,000 Visitors…and Counting! appeared first on Frost Science. South Florida is blessed with water. With an ocean to its east and south and the largest freshwater wetland in North America located to the west, it’s a veritable aquatic paradise. Come rainy season, water comes from the skies as well, with our frequent rains providing ample water for drinking, irrigation and aquatic activities. But too much of it, particularly from the ocean, can stress our coastal integrity and threaten our very existence. Florida has more residents at risk from the consequences of climate change than any other U.S. state. Globally, South Florida faces the highest risk from the effects of sea level rise in terms of the potential loss of billions of dollars of infrastructure. Sea level rise implies a host of effects that go beyond rising sea levels, including flash floods, urban heat, sea water intrusion into the aquifer and beach erosion. The gloomiest predictions are based on inaction and continuing a “business as usual” mentality. But the situation isn’t hopeless—in fact, it’s one we can tackle as a community. The more we do and the better we adapt, the softer the landing. Sea levels are rising in South Florida about six times faster than the worldwide average, yet Miami residents point to a lack of information and a shortage of opportunities to make a positive difference. Frost Science’s Museum Volunteers for the Environment (MUVE) initiative engages local residents by restoring living coastlines. This restoration helps protect their communities and enables individuals to take ownership of adapting to climate change. Yet, perhaps the best tool in Frost Science’s arsenal is the ability to inform and engage thousands of visitors through original exhibitions. 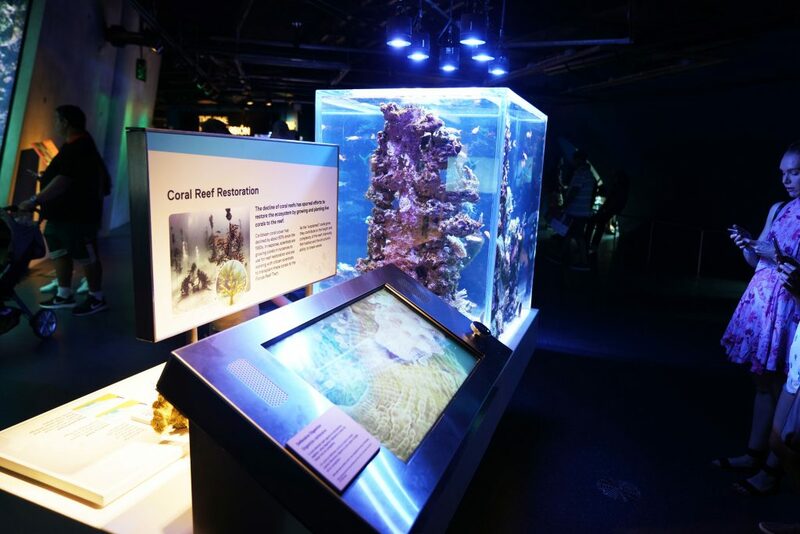 Frost Science was built with a special feature called “flexible furniture.” With plumbing and electricity built into the floor of The Dive level of our Aquarium, we are able to change many of our table top exhibits. Just like a changing coastline, this allows us to continually offer new content to our visitors. 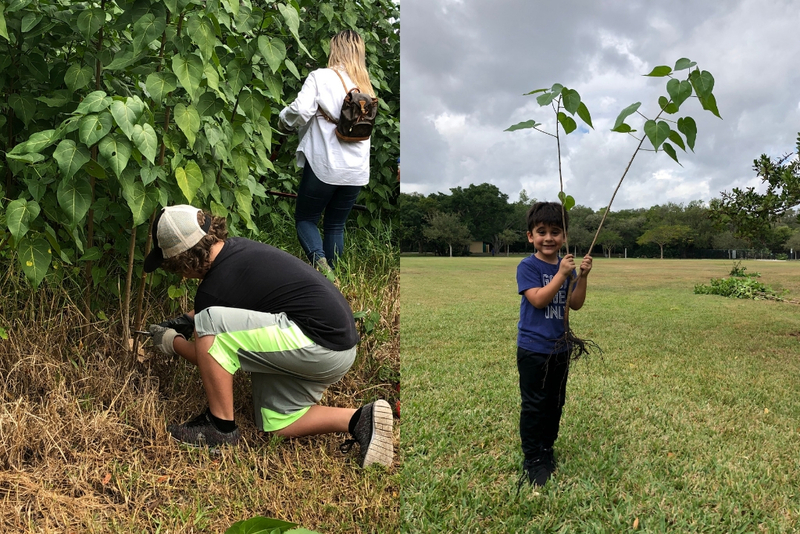 Recently, Wells Fargo, via the National Fish and Wildlife Resilient Cities program, in partnership with the City of Miami and Miami-Dade County, recognized this attribute with a major grant to Frost Science. 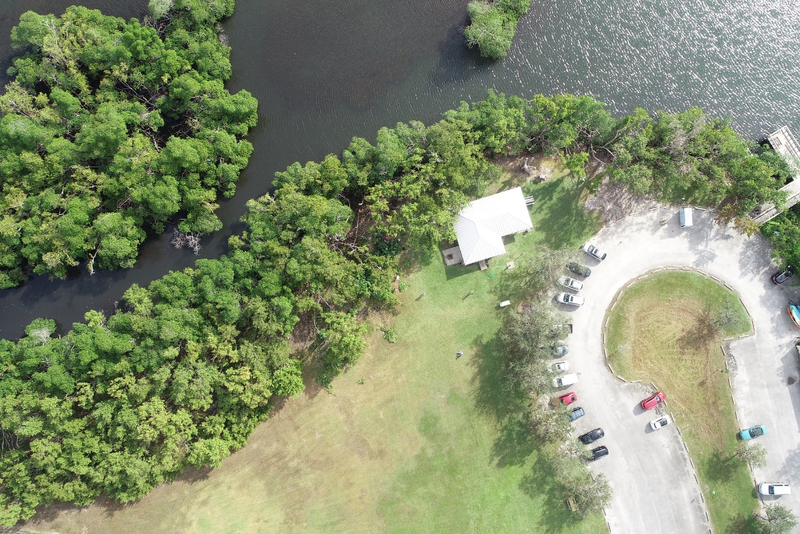 The funding will help restore three living shorelines around Greater Miami while giving Frost Science the ability to create a series of original flexible exhibits that explain how local coastal ecosystems are protecting us from sea level rise. These exhibits are going live this month in conjunction with The Power of Poison: From the Depth of the Sea to Your Own Backyard and Da Vinci – Inventions special exhibitions. 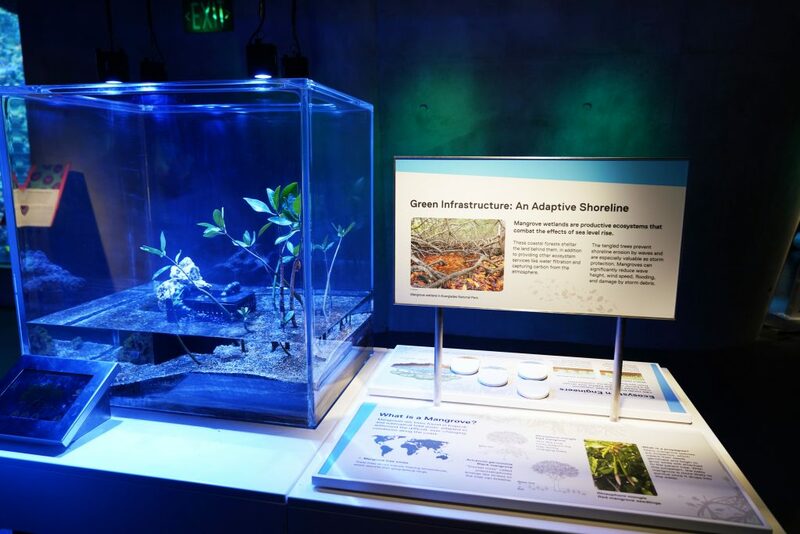 The first sea level rise-themed table top exhibits touch on the power of living shorelines (think: mangroves and dunes instead of seawalls) to protect inland areas from sea level rise and storm surge. We’ve all seen the images of sea walls being breached by waves during Hurricane Irma, rendering them useless. 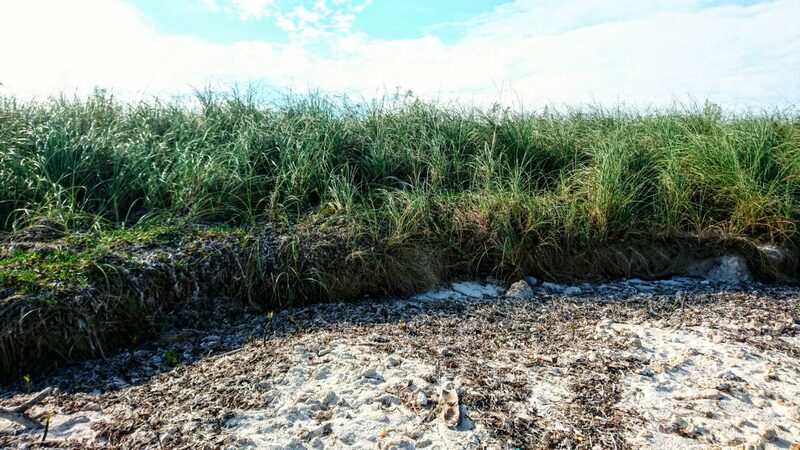 Green shorelines use their living structures to anchor sand in place (dunes), stay above the water through elevated roots (mangroves) and diminish the power of waves using their leaves and roots (saltwater grasses). Other table top exhibits feature our new Topo Box, an interactive, 3D topographic map that enables visitors to create their own landscapes and shorelines—from snow-capped mountains to the deep sea. Wiggling fingers overhead creates rainstorms, allowing visitors to explore how water moves through the environment and how large weather events might affect areas impacted by sea level rise. In addition to the Topo Box, the Science Portal allows you to see live video, images and data feeds from research projects around the world. You can also use it to sign up as a MUVE volunteer. Humans and nature are working together to help South Florida adapt to sea level rise. Plan a visit to Frost Science and see for yourself! The post Using the Power of Nature to Fight the Effects of Sea Level Rise appeared first on Frost Science. Antares, the leading light of Scorpius, will perch close below the Moon at first light tomorrow. The brilliant planet Jupiter will stand well to their left. A thin but reliable meteor shower is building up this weekend. It should hit its peak in the wee hours of Monday or Tuesday. Unfortunately, though, the gibbous Moon will get in the way. Its glare will overpower all but the brightest meteors. The Lyrids are one of the most reliable of all meteor showers. The earliest record comes from 2700 years ago, in ancient China, where a scribe reported that meteors fell like rain. Most years, the Lyrids produce no more than 20 or so meteors per hour. But the shower has produced a few outbursts. The most intense was recorded in 1803, along the East Coast. A group of skywatchers in Albany, New York, said that “stars seemed to fall from every point in the Heavens, as far as our sight could extend.” Another observer, in Portsmouth, New Hampshire, counted 167 meteors in 10 or 15 minutes. After that, he gave up counting and just enjoyed the show. Alas, there won’t be nearly as much to behold this year. Even so, if you can find a dark, safe skywatching spot, you might see a few bright Lyrids through the moonlight. Since its inauguration in 1969, ESO’s La Silla Observatory has been at the forefront of astronomy. Its suite of state-of-the-art instruments has allowed astronomers to make ground-breaking discoveries and paved the way for future generations of telescopes. Hidden in one of the darkest corners of the Orion constellation, this Cosmic Bat is spreading its hazy wings through interstellar space two thousand light-years away.